What’s the Deal With the Xayaburi Dam? Much controversy has been raised over a new construction project based in the heart of the Mekong Delta. The Xayaburi Dam, a project under consideration between Cambodia, Laos, Thailand, and Vietnam, and will be taking place in the Xayaburi province of Laos. 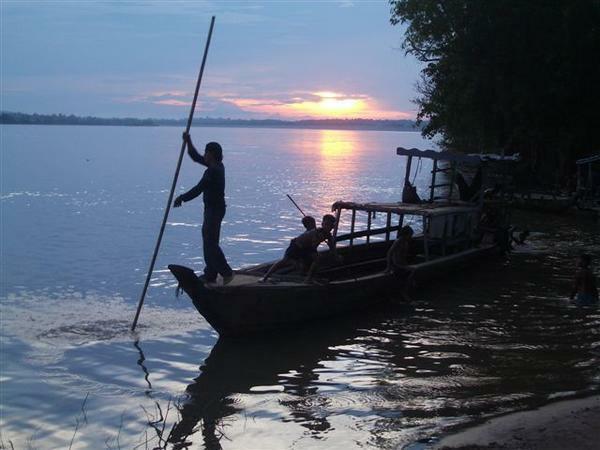 If approved, this construction project will be the first of many within the Mekong River, something that the inhabitants strongly disapprove of. The problems associated with the dam’s construction mainly involves the strong chance of environmental destruction and loss of natural life in the area. If built, many argue, the dam would end up killing many species of fish and other aquatic lifeforms of that habitat. Not only will this result in the extinction of many of these species, but will deprive the inhabitants of that region of their food supply, and see the destruction of many of their homes as well. 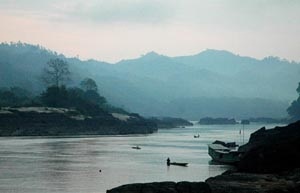 The Mekong River is a natural habitat to many diverse species of animals and plants, more importantly, it is the home of many different cultural peoples. Natives and minority groups from Vietnam, Laos, Cambodia, and Thailand all rely on the resources of the Mekong Delta to support their ways of life. The construction of this dam threatens the very livelihood of all these peoples. That is why the construction of the Xayaburi Dam should not be approved by us. To defend the natural beauty of the Mekong River, and to defend the inhabitants of this River, we must not support the construction of this dam. There’s been an interesting development in Vietnamese politics, if you can even call it politics. A prominent Communist Party associate, Mr. Cu Huy Ha Vu, has decided to express his disgust with the Party. In an extremely courageous move, Cu Huy Ha Vu, a Vietnamese legal scholar, has condemned the corrupted and incompetent Communist Party, calling for multiparty democracy for the country, and criticizing the Party’s concessions to China. Mr. Vu earned a law degree from his studies in Paris, now he runs a law firm with his wife in Hanoi. Not afraid to speak out on sensitive subjects, Vu has criticized the corruption and unethical actions of the Communist leadership. On two occasions, Mr. Vu has filed a lawsuit against Prime Minister Nguyen Tan Dung. The first for approving the Chinese bauxite mining project, which has significantly damaged the central highlands of Vietnam, and the second for signing a decree that disallows class action lawsuits. On many occasions, Vu has called the government out on their blatant violations of basic rights and freedoms like religion and expression. Land grabbing, repression, and corruption are all strong points that he has raised against the Communist Party. Religious practitioners have been under constant persecution from the government, something that Vu and his firm has tried to combat. He’s a champion of bringing rights and freedoms to the people, and throws the competence of the Communists in question as well. Vu is a well known individual in Vietnam’s political circles, with many connections to high-ranking Communist officials. His parents were major players of North Vietnam during the civil war, playing prominent roles inside the government, having close personal connections with Ho Chi Minh himself. For these reasons, it is a pretty big deal for him to be going against the Communist Party, as so many of his contacts and family are directly related to the Party itself. 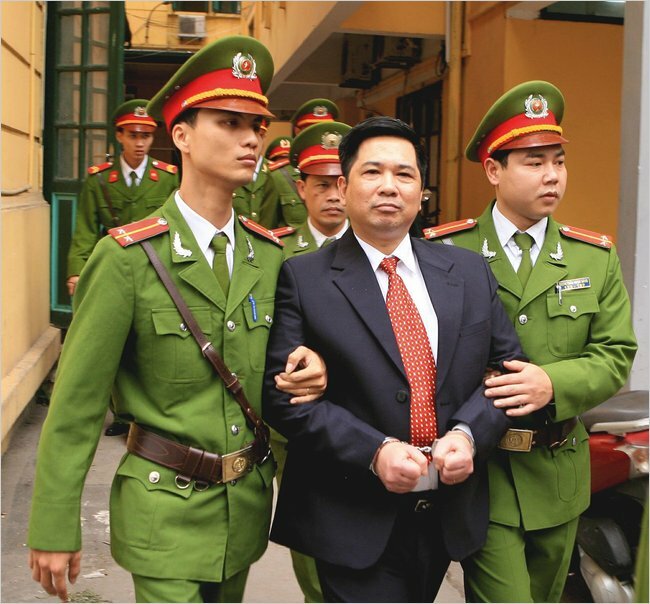 As a result of the many threats that Cu Huy Ha Vu has posed to the Communist Party, they’ve sentenced him to seven years in prison. There was no actual trial, as the courts have no real power and are just subordinates of the political bureau. Mr Vu’s actions have drawn an enormous amount of pubic support, as many bloggers, writers, and religious practitioners have rallied to Mr. Vu’s cause. It is said that even some Communist members have shown their support for Cu Huy Ha Vu, though that is something that requires more evidence. He is a brave man, deserving of our full support. Press on.